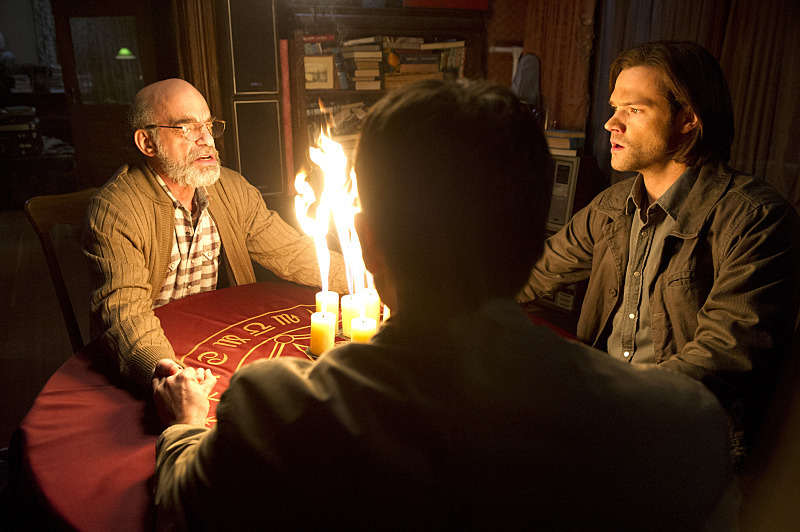 IMAGES: Supernatural 10x17 "Inside Man"
The writing was definitely on the wall with this one. We’ve got some first look images to share from the episode, following these official log lines from the CW. DEAN AND ROWENA FACE OFF AGAINST EACH OTHER — Sam (Jared Padalecki) and Castiel (Misha Collins) follow up on a lead about the Mark of Cain. Dean (Jensen Ackles) and Rowena (guest star Ruth Connell) meet.